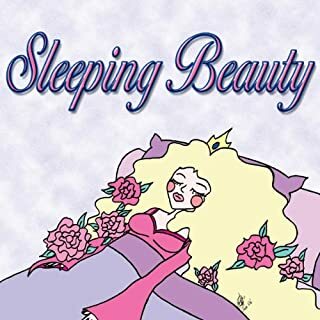 Cursed by an angry fairy, the little princess Briar Rose is doomed to a life spent in eternal slumber - until one day when a handsome prince happens to pass by the kingdom. Can his love break the spell and rescue Briar Rose from her sleeping reverie? First of all, this only lasts 10 minutes, not 20. Secondly, it is not the normal Disney story. It's a cute story, but not at all what I was expecting and at only ten minutes, quite a disappointment. More audio adventures of radio's greatest and funniest female private detective! Two complete radio shows plus special commentary. "Candy Matson, Yukon 2-8209, starring Natalie Parks is considered the best of radio's female private eyes. Bright, sparkling and witty, Candy Matson features the sharpest dialogue this side of the William Powell-Myrna Loy "Thin Man" movies. The stories are great, but they're only 1/2 of it. This recording may be an hour long, but it consists of (1) a 15 minute introduction to the series, which is helpful and interesting; (2) the first 15-minute episode; (3) another 15 minutes talking about the show (not very interesting, some I disagreed with, and some I found offensive); and (4) another 15 minute episode. The episodes are wonderful and remind me of the Stephanie Plum novels by Janet Evanovich... right down to the brusk cop/love interest! I wish they'd offer more episodes and less commentary, but it's still worth the price.